The University of Cape Town and GetSmarter will help you to be recognised as an industry expert with practical and functional web design skills. The tremendous power and reach of the internet has given users the ability to connect worldwide, to follow and be followed, and join larger communities from across the globe. It has proven to be a powerful tool, for both private users and businesses alike. To have an active internet presence in the form of an aesthetically attractive and well designed website is now imperative for the success of any commercial concern. However, the need to stand out in the sea of websites has created a demand for web designers with advanced skills and knowledge in user experience and web design skills that can elevate a website above the mundane and mediocre. Where to Study Design Online? Win A Graphic & Web Design Course Bursary! I would like to find out if the course will be offered even to people outside South Africa, or will just be for South Africans? Hi Nkosinathi, please contact Alexander – alexander@getsmarter.co.za for more info about the course. 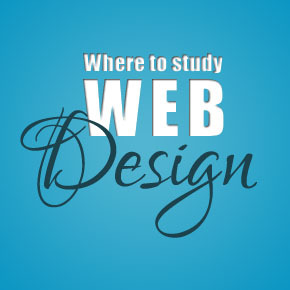 Hi Sihle, have a look at my post Where to Study Web Design in South Africa! I came across your article. Would like some advice, I am working for a property company that requires me to start developing an online marketing channel. Would you recommend to first do the Web Design or the Web Development? Should there is a sequence to undertake these courses? Hi Sammi, thanks for your comment. Most people usually study one or the other, so I think for online marketing Web Design would be a better choice for you. Some schools do offer courses specifically for digital marketing – have a look at Red and Yellow. I’d like to find out the cost of the Web Design short course. Hi Yolanda, prices are available on the GetSmarter website. Please follow the links provided. Can one make a sustainable living after studying graphic and web design as a freelancer? Doesn’t it take ages for one to get work if you’re just a one-man business owner? has the web development course been removed from uct? Hi Jade, thanks for your comment. It looks like they have combined the two courses, I have corrected my post.